When critical choices needed to be made about the way special educational needs would be supported in a fast-changing community, Tower Hamlets’ Head of Pupil Services turned to Witan Models to rapidly model different scenarios and make some big decisions, with confidence. 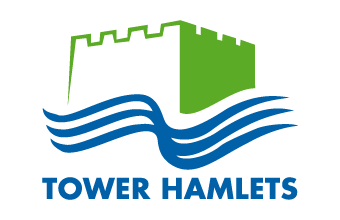 London Borough of Tower Hamlets (LBTH) is one of the fastest growing local authorities in the UK. The borough has one of the highest levels of pupils with statements or Education Health & Care (EHC) Plans in the country, and it is a considerable challenge to plan for future school places and Special Educational Needs & Disability (SEND) service needs. High needs funding is coming under increasing pressure, and difficult choices need to be made. For example, whether to invest capital in expanding maintained specialist provision to accommodate more pupils in borough, and thereby reduce the need for more costly out-of-borough and independent provision. Capacity. Do the various schools available to LBTH pupils have enough capacity to serve their future SEND population’s individualised needs? Pupil experience. Can the most appropriate provision be made available to best serve the pupils’ needs, without long travel times? Budget. How can all this be achieved within budget, through a mix of commissioning, planning, and policy? Tower Hamlets’ head of Pupil Services, Terry Bryan, engaged Mastodon C to provide detailed projections and scenario analyses on an ongoing basis, using our SEND demand projection model, to support LBTHs thinking on the key strategic issues. Lisa Stidle, Research Officer at LBTH explains why Mastodon C was the solution the team selected: “the advantage of Mastodon C’s model is that they can do future scenario modelling. So we can understand what the situation would be if we carried on as we always had in the past. And, if we changed something about our own provision, or a policy changed, what impact that would that have on the number of people we’re seeing with SEND needs and also the impact it would have on our budgets”. Close collaboration between the LBTH team, Mastodon C and other stakeholders helped deliver results everyone could be happy with.”Because of the complexities of SEND we always knew this was going to be an iterative process. We also wanted to have a lot of input from the head teachers of our special schools and take them on that journey with us and really capitalise on their insights. So we didn’t want them to just come in and deliver a finished product for us, but really we wanted to work in a collaborative way with Mastodon C and we’ve really been able to do that” says Lisa. At the end of the demand projection and policy analysis process, Mastodon C provided the team with the robust projections they needed, based on the latest available data. This allowed LBTH to make, with confidence, big financial decisions such as investments in expanding special schools. These decisions are backed up by comprehensive data and a rigorously tested analysis tool, which helps reassure Members and the public about the choices the LBTH team made. And, as Lisa explains, working with Mastodon C now gives the potential to create further impact for the people of Tower Hamlets “The work we’ve done with Mastodon C really opens up opportunities for the future into other areas that were maybe thought too difficult to take this kind of approach. For example “alternative provision” or “early years”. Typically local authorities don’t have an established method for doing those kinds of projects and making those kinds of decisions. We really think that the approach we’ve taken with SEND, we can replicate with some of these other policy areas”.